A fuel-efficient small car designed by the students of Dronacharya College of Engineering has been awarded as the best model showcased at an engineering competition held here. The model of the 350cc engine car prepared by the team of five students was chosen out of a dozen engineering marvels displayed at the competition organised by the Faridabad Industrial Association (FIA). The win, certainly, wasn't easy. It was an outcome of hard work by all the team members who are studying in final year of mechanical engineering. They devoted four months working on the model which has been developed from the engine of a Royal Enfield motorcycle. They said the engine of the Rs 85,000-model has been designed to make the car more fuel efficient. The team collected the spare parts from several places and made a shop their laboratory to experiment with their engineering skills. Vidya Sagar Chauhan, one of the team members, said that his father’s shop at Kadipur industrial area, 15 kms from the college, was their laboratory where two of them used to visit every day to work on the assignment. 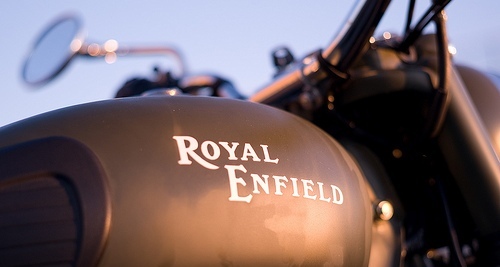 royal enfield is the best bike in the world !! !